WE WONDER how this type of exchange will be viewed by the Nevada State Athletic Commission as it focuses on cleaning up the trash talk in mixed martial arts. A week after NSAC executive director Bob Bennett said Conor McGregor's verbal warfare had become "totally unacceptable" and chairman Anthony Marnell described it as "embarrassing" while handing down punishments for the post-fight brawl at UFC 229, the Irish star is showing no signs of stopping. McGregor was active on social media during UFC 235 in Melbourne on Sunday, tweeting his respect for Anderson Silva after his loss to Israel Adesanya in the main event, but also going after middleweight Kelvin Gastelum, who was left without a fight when Aussie champ Rob Whittaker was a late withdrawal. After Gastelum paraded around Rod Laver Arena with a championship belt and claimed he was the new king of the 185-pound division, McGregor aimed a personal sledge at the American. Gastelum, who shares the same management as McGregor rival Khabib Nurmagomedov and thus appears to be an automatic enemy of the Dubliner, had revealed he had some staph infection complications last week. His skin was also highlighted by welterweight contender Colby Covington. It was tawdry taunting but Gastelum showed he was just as willing to get his hands dirty. 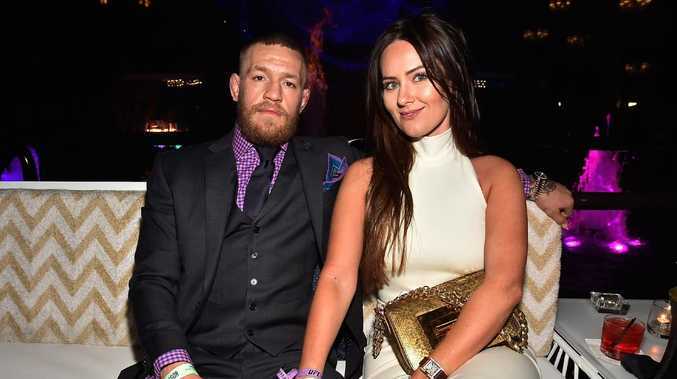 During an appearance on Ariel Helwani's MMA show, the 27-year-old appeared to reference recent reports about McGregor's rumoured cheating on his longtime girlfriend Dee Devlin. Terri Murray, 26, from Liverpool, claimed the UFC star was the father of her daughter Clodagh after the pair had an all-night romp while Devlin was eight months pregnant with Conor McGregor Jr.
McGregor has denied the claims, but that didn't stop Gastelum. "Oh my God, you want to talk about a leper?" he said. "A guy that's full of disease that's spreading disease all over Ireland? That's Conor McGregor. He's spreading his seed all over Ireland, impregnating ladies and not claiming them. That dude's a leper. Forget him."